The modular outdoor kitchen components can be organized to create a dream kitchen. Toronto, Ontario: NewAge Products Inc., a category leader of home storage solutions in national retailers and installation dealers across North America, has launched a new range of high-quality outdoor storage products and modular outdoor kitchen cabinets. Currently, the price of entry for stainless steel outdoor kitchens is beyond the average homeowner’s comfort level. The current manufacturers make their products by hand, which lends a certain quality to some, but comes at a high cost. NewAge Products has spent the last two years refining the manufacturing process to greatly reduce the end consumer cost while improving the features, quality and value of the product. Coupling spacious storage with a premium look, the cabinetry features a weather-tight design, soft-close doors and drawers, adjustable shelves and drawer organizers, as well as a list of functional cabinet features nested within. It is also constructed from 304 stainless steel or aircraft-grade aluminum, ensuring resilience and long-term durability. The modular components can be organized to create a dream kitchen. The eight components include everything from a drop-in grill and storage cabinets, to sink and bar cabinets, as well as corner cabinets and a prep table. 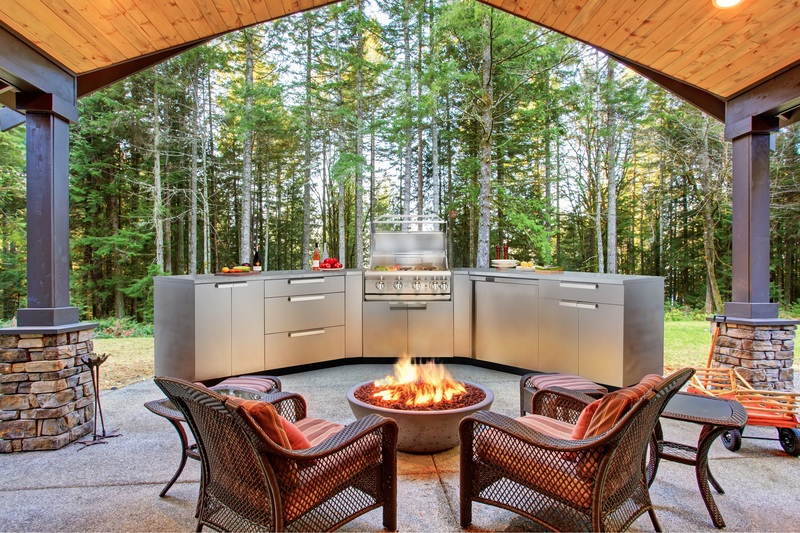 NewAge Products makes it easy for the customer to setup their outdoor kitchen. With free delivery nationwide, the fully assembled product is delivered right to the customer’s home and can be set up in just a few hours. The modular design allows the customer to install the product to however they please, and enables the addition of a custom countertop, for a truly personalized look. NewAge Products is in business since 2008 and has since grown from its humble beginnings in garage storage solutions into other areas of home improvement. Our products are designed with care in Canada to meet your needs for quality and innovation. Our impressive storage solutions can endure the roughest of environments and will add style to any space in your home.